Justin Chua, cloud leader at IBM‘s Institute for Business Value, has said a new IBV study highlights several factors that organizations may want to consider if they opt to migrate information technology functions into cloud infrastructure. Chua wrote in a blog article published Sept. 1 that companies must first decide what application to move to the cloud and address transition roadblocks when looking for suitable cloud technology. “Organizations that want to use cloud as part of a strategic transformation should decide which business and IT functions to deliver through the cloud, identify and address the challenges anticipated in adopting the cloud, and take advantage of the operational, financial and innovation benefits that cloud offers,” he added. He suggests that businesses that aim to adopt cloud technology should consider factors identified in the IBV study such as security and compliance requirements, timing and speed to market and estimated return on investment. 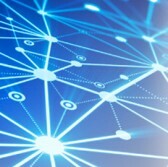 The study, based on interviews and surveys of more than 1,000 C-level executives from 18 industries, found that 78 percent of respondents said their companies plan to move to the cloud, more than twice the figure recorded in 2012.
Business leaders surveyed also reported strong gains when they integrated cloud initiatives across their organizations and tapped external resources to acquire skills, Chua added. Nearly 76 percent of respondents said cloud initiatives helped their businesses expand into new markets.